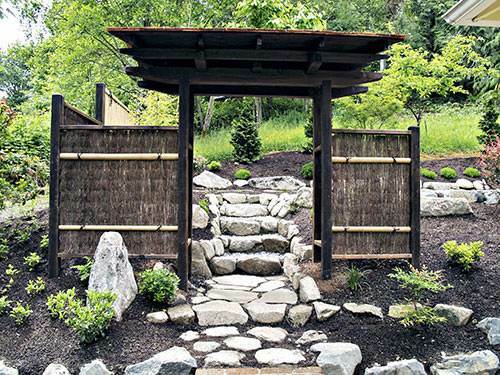 Japanese Wooden gates called,"Mon," to Japanese garden fences, simple Japanese tea house built with wood or bamboo. 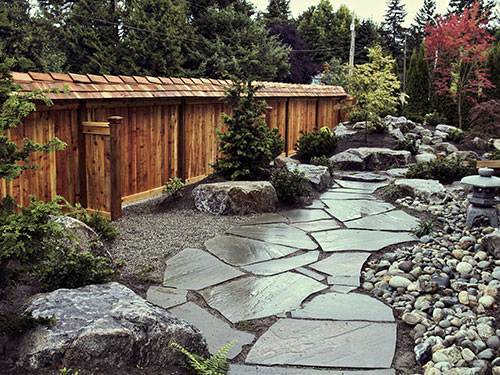 Our woodworking expertise add emphasis to the Japanese garden design. 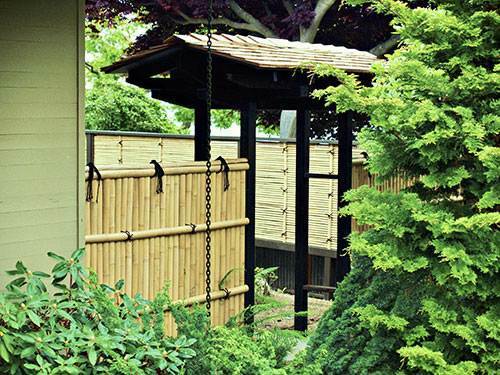 All materials used like Bamboo is a durable material that brings a unique look in our garden design. 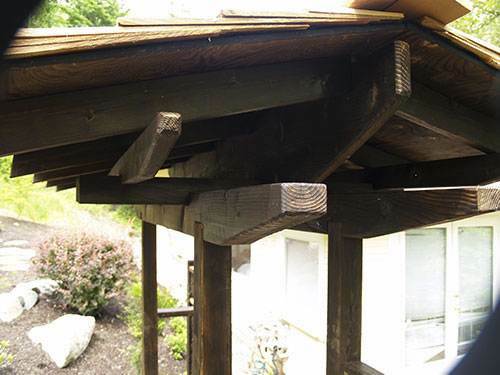 Our Japanese style woodwork or carpentry is a delicate aesthetic construction, using rustic materials and formulating a design that translates to a traditional Japanese garden design. 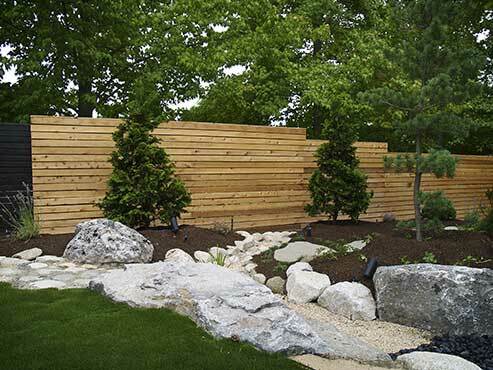 All of our garden woodworks and bamboo designs are environmentally friendly and use sustainable gardening materials and techniques. 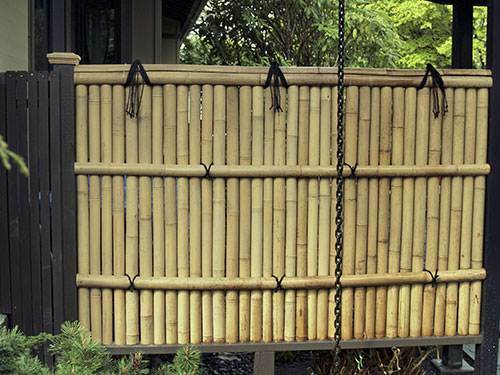 Japanese wood gate with bamboo sidings. 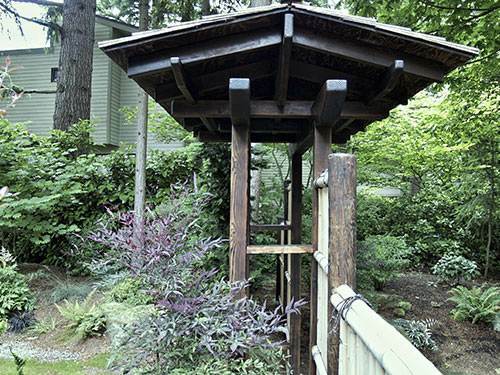 Japanese gate called,"Mon," is made out of fine wood with skilled craftsmanship. 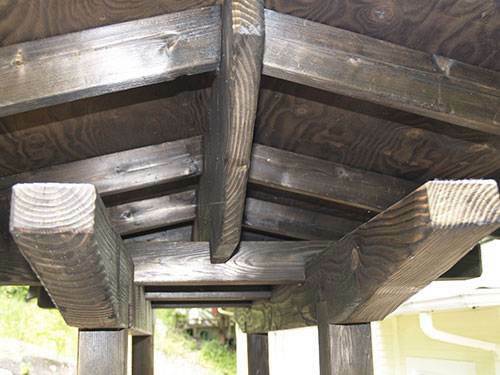 Layerd wood for the roof of the Japanese gate. 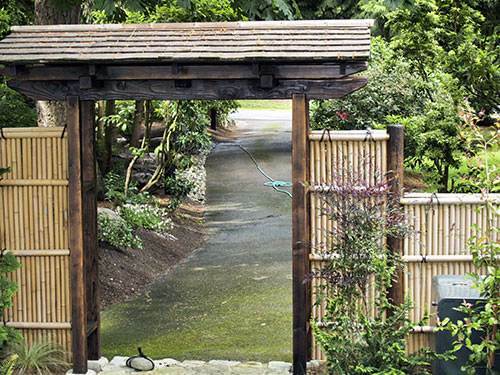 Enterance to the home through a Japanese gate and bamboo fences. 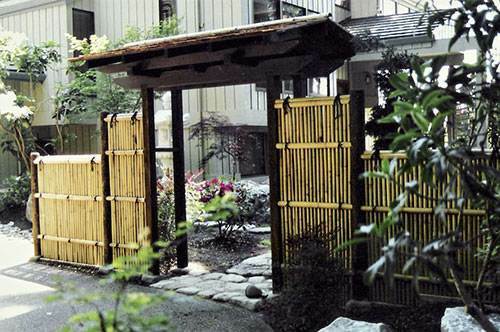 Japanese style wood gate with bamboo fencing, leading into a Japanese garden. 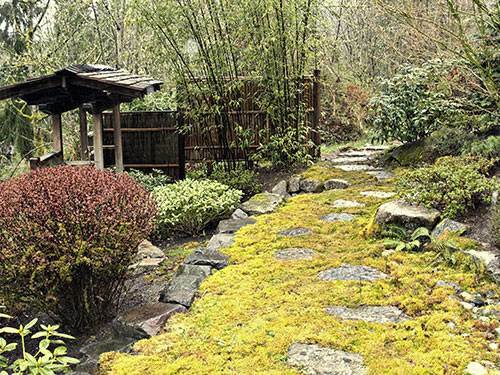 Japanese styled walkway with a wooden gate. 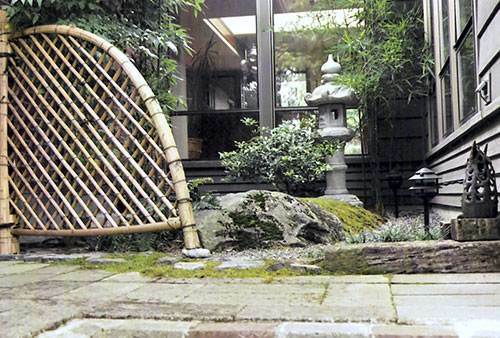 Japanese wooden gate with bamboo fences. 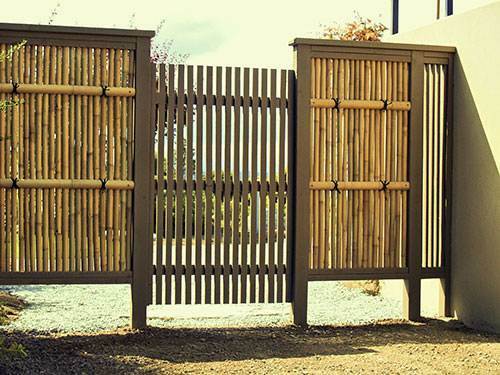 Japanese wooden gate with bamboo siding gives a unique effect. 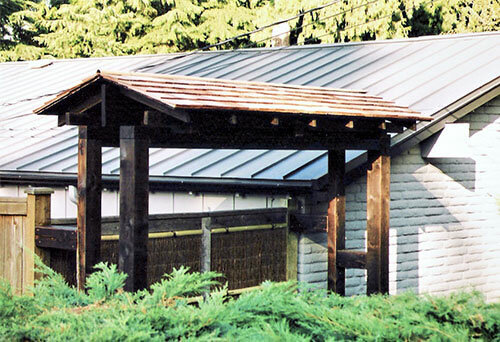 Japanese wooden gate as high as the roof. 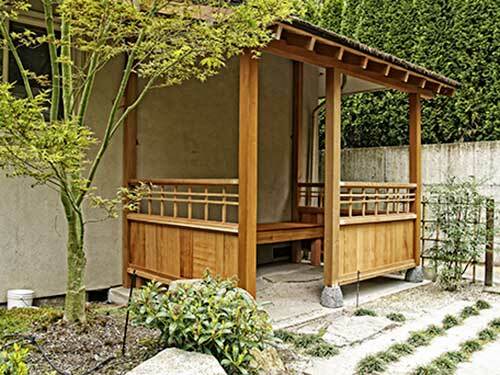 For meeting place for tea or just relaxation. 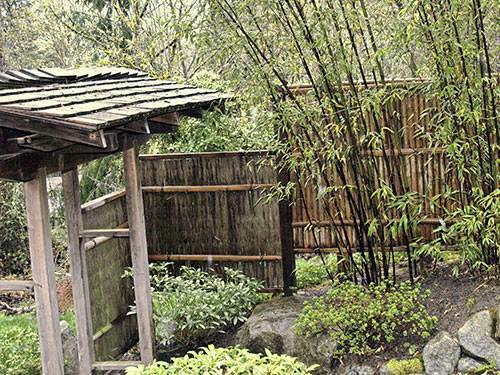 We at Zen Japanese Landscape & Garden select the best bamboo for your garden. 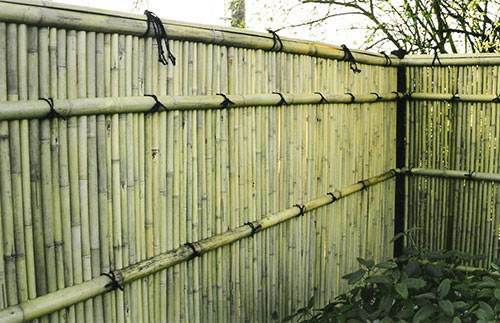 Bamboo is one of the best materials for use in fences, walls and floorings in Japanese design. 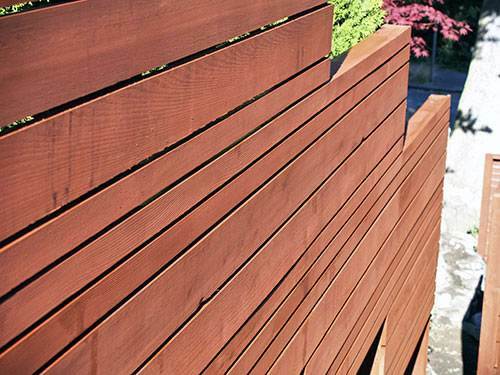 We offer several types of bamboos fencing design with selection of color, hardness and grain to fit your garden style. 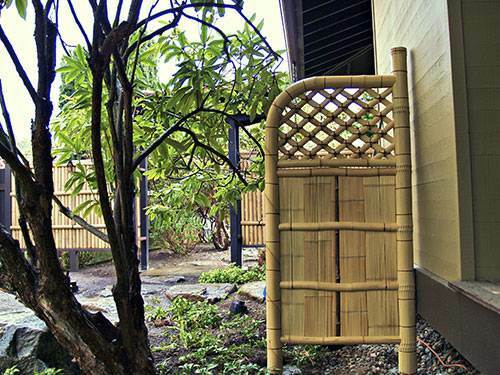 Our craftsman are well experienced in woodwork using bamboo. 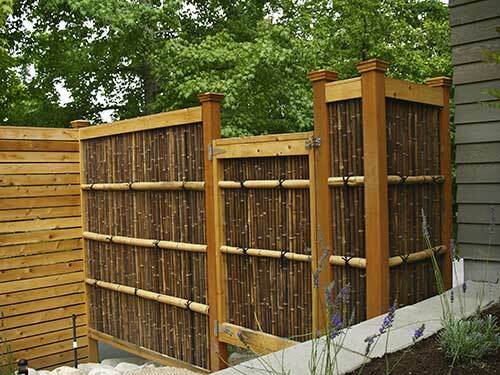 Japanese bamboo fence to guard the Japanese Garden. 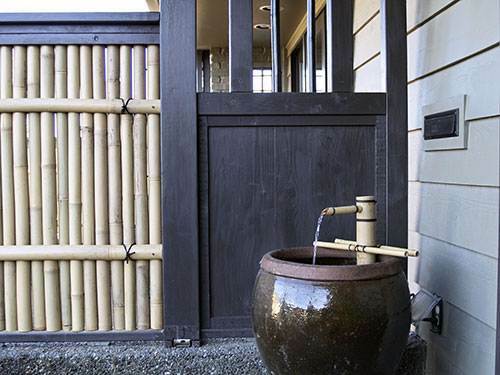 Japanese style bamboo fence with combination of wood and bamboo water fountain. 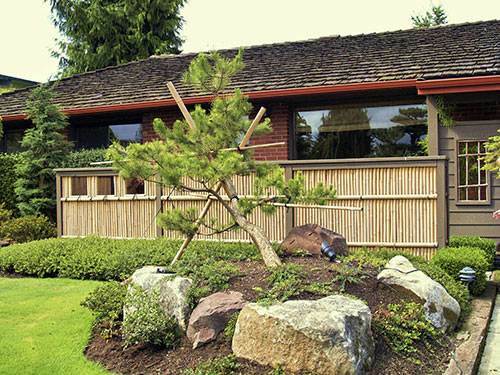 Our Japanese bamboo fencing can surround a home. 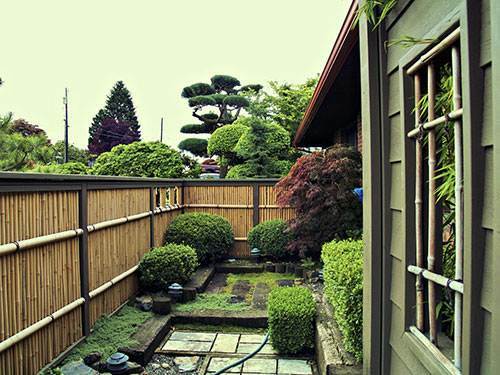 Japanese wooden fencing around a home. 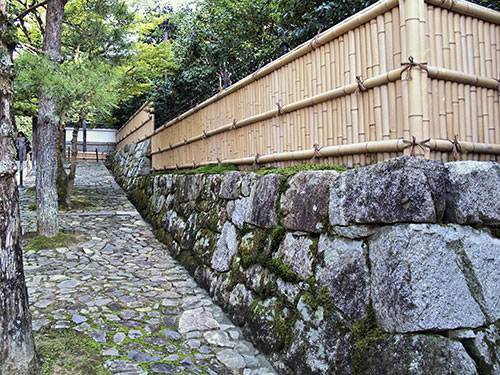 Japanese wood fence through a Japanese rock garden walkway. 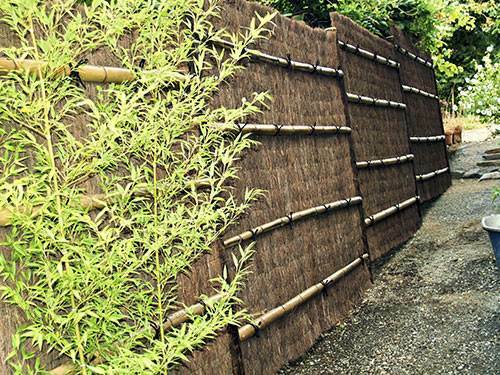 Japanese bamboo fence is durable yet soft to the eyes. 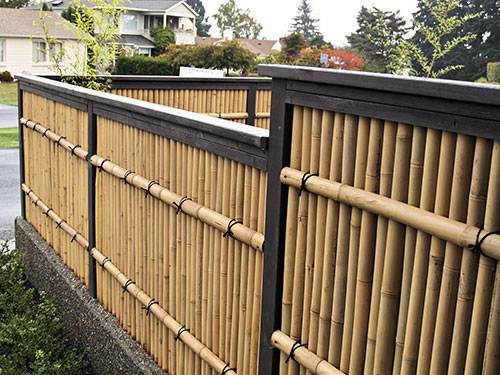 Designing, building and installation of Japanese bamboo fence. 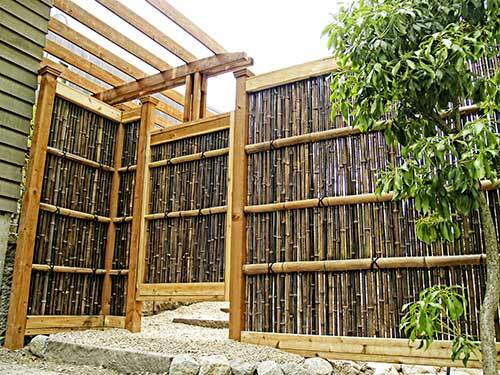 Crafted bamboo fence in courtyard. 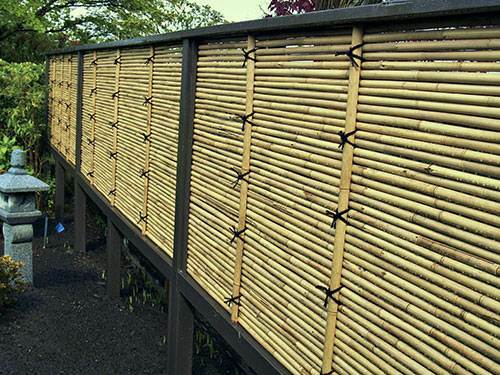 Rows of bamboo combined and held by hardwood on each end. 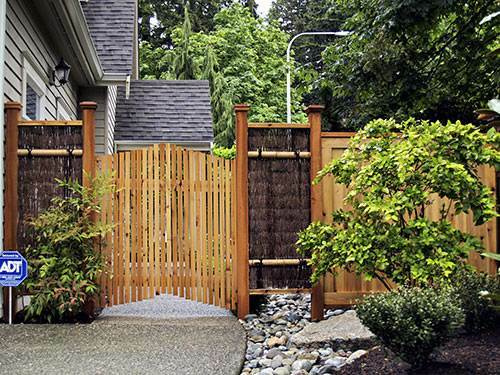 Bamboo fence ith a gate. 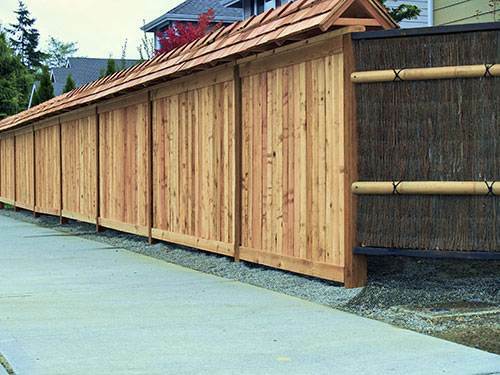 Japanese bamboo fence on the side of a house. 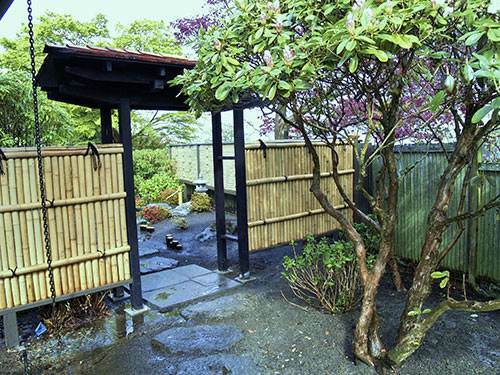 Inside of a bamboo fence with Japanese style walkway. 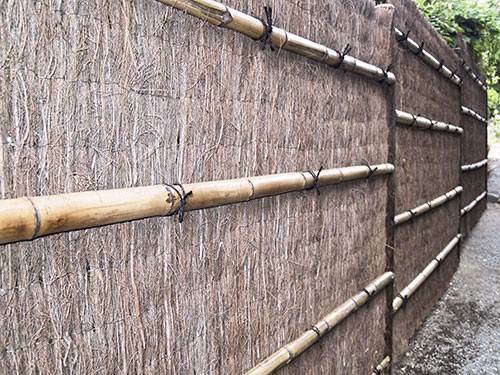 Bamboo fencing on a hill. 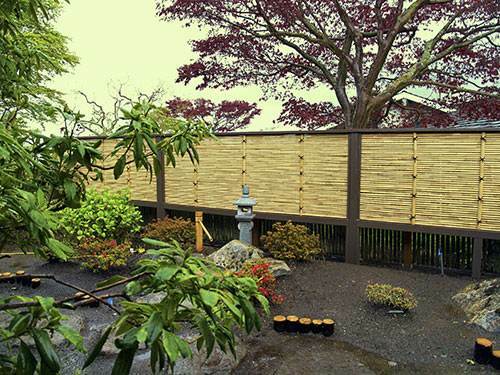 Fence made of wood to give a fell of Japanese design. 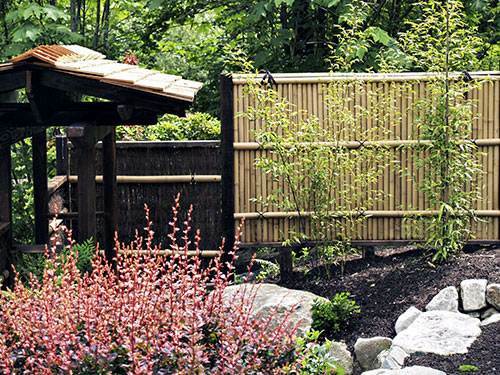 Bamboo fence surrounds a Japanese garden. 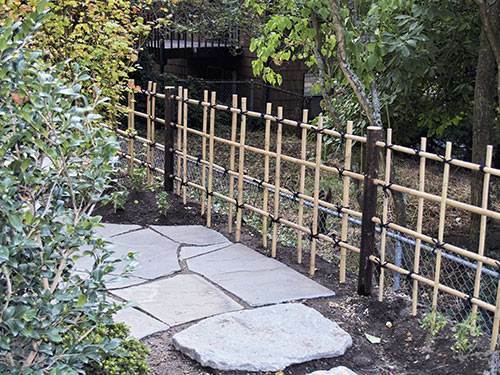 Bamboo fencing around a property. 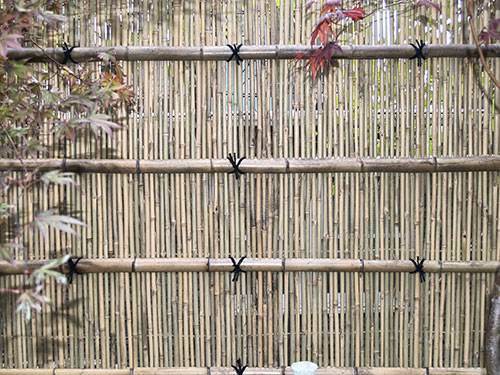 Japanese style design of bamboo fence. 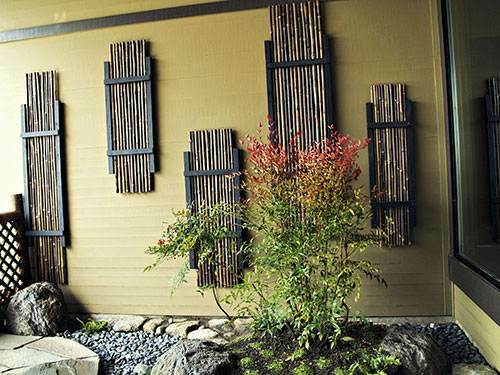 Japanese style bamboo design on a wall to the enterance of a home. 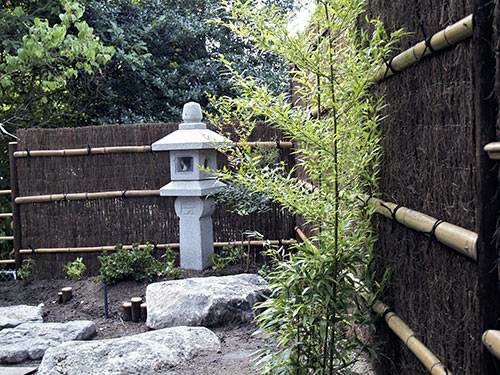 Japanese Bamboo Sleeve Fence in courtyard with Japanese stone lantern. 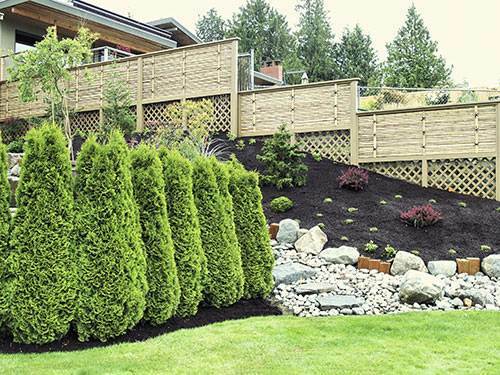 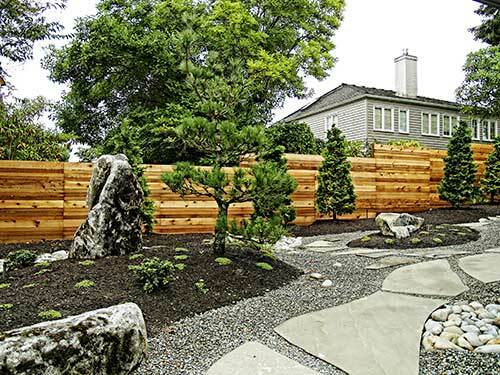 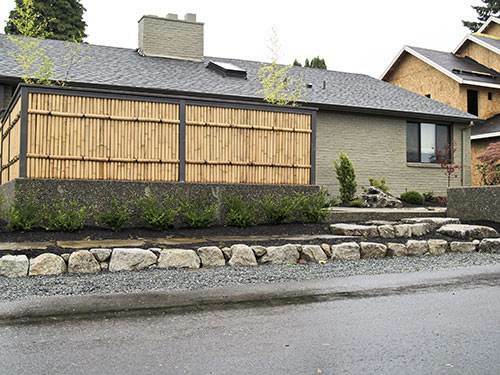 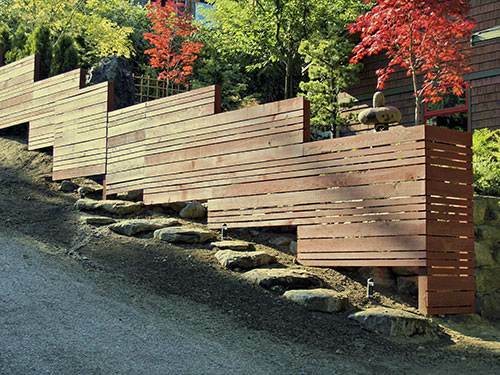 SEATTLE, BELLEVUE, KIRKLAND, RENTON and REDMOND (WA) Washington State area is covered as our main locale of Japanese bamboo fencing and wood gates garden woodwork design as construction builders services.